The US is a giant vacuum, sucking up all the drugs in our hemisphere and others. 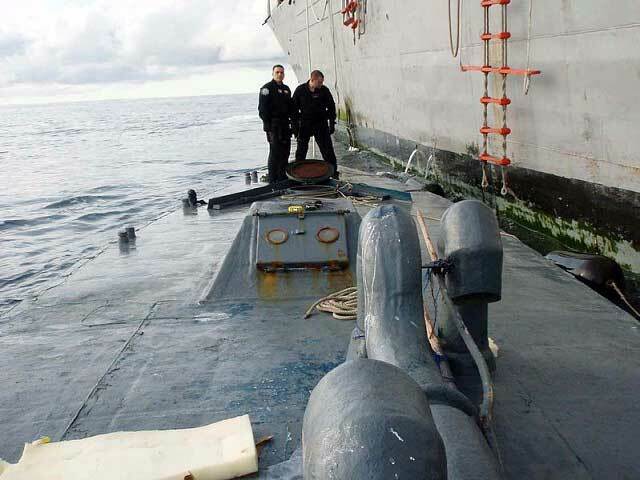 Drug Lords have made quite a tidy profit from running drugs to our shores, but it is getting increasingly tough to cross open water with big boatloads of contraband. It is now going under water. The first self propelled semi submersible craft carrying drugs was captured in the eastern Pacific in 2006. These craft are a lot harder to spot in the open ocean, and it's not apparent how many there have been. At least 32 have been captured since then, and this year they have shown up in the Caribbean, and 2 of those were captured. These ships have a low profile with not much showing above the water line, and can carry up to 10 ton payloads. The drug trade isn't changing over wholesale to these boats yet, as they cost about a million apiece. Their favorite transports are still go fast boats, which can be had for under $150k, although they can't haul as much. The big worry for Homeland Security is what else is being hauled in these half subs. The North Koreans use a sort of half go fast half submersible to sneak guerrillas into South Korea, but so far nothing but drugs have been turning up here.